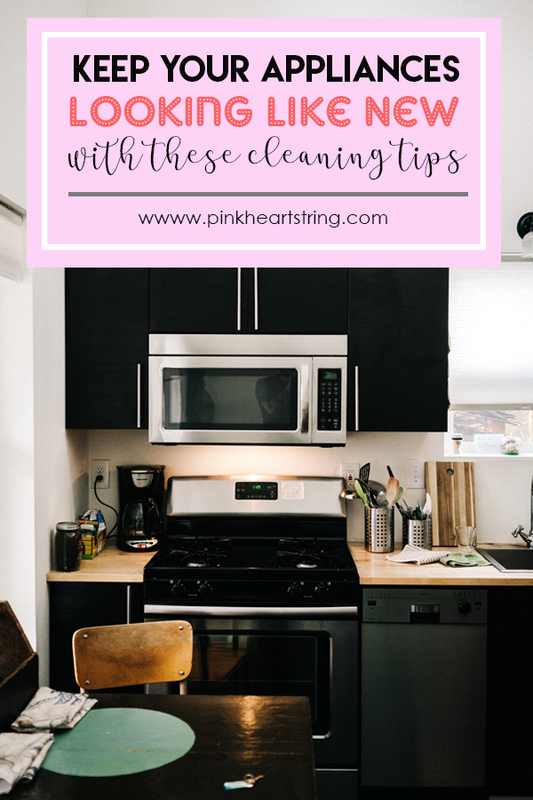 Are you looking for more effective ways of cleaning your kitchen appliances, especially those that don’t involve expensive equipment or fancy detergents? More than that, do you want these appliances to look like new again, rather than just looking like they’ve been wiped down? If so, then you’ve come to the right place. Here are a few tried-and-tested tips about appliance restorative care that you may not know about. If your microwave oven sees daily use, then there’s a good chance that the inside is covered in food stains and debris. It may even smell faintly of food. Here’s a handy tip on how to clean microwave ovens the easy way and remove those stains and smells: place a bowl full of water and chopped-up lemon, orange, or other citrus fruits in the microwave and turn it on. Set the temperature on high for several minutes or until the mixture begins to audibly boil and the window gets fogged up. The mild acid and condensation will soften the dried-up spatter and stains while also deodorizing your oven. Shut your microwave off at this point and let it cool for fifteen minutes before removing the bowl and wiping the inside with a cleaning cloth, like a microfiber towel. Do most of your appliances come with a white paint job? Or did you specifically pick a white appliance to match the look and theme of your kitchen? Either way, you probably already know by now that white simply showcases stains more than any other color. This not only makes your appliances look old and your kitchen filthy no matter how diligent or meticulous you are with cleaning. Thankfully, baking soda is here to the rescue. Yes, this common ingredient can easily help restore your microwave, refrigerator, stove, or any other white-painted appliance to its former glory. 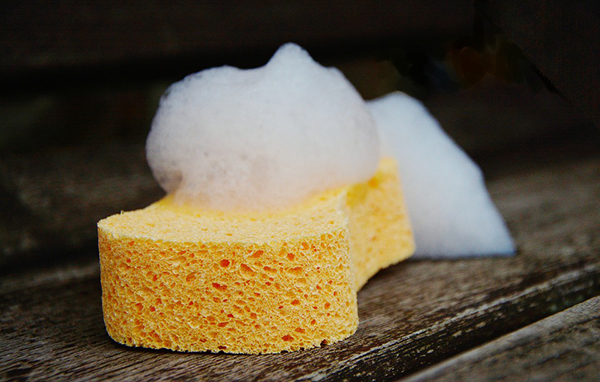 Simply sprinkle a liberal amount of baking soda onto the discolored area, let it sit for a few minutes, and then scrub it away with a damp sponge or microfiber cloth. You’ll see results in no time. For narrow spaces and hard-to-reach areas, use a wet toothbrush instead of a sponge or cloth. This is great for microwave vents, buttons, gas range dials, and other smaller parts. What if the appliance you’re looking to restore to a pristine state is coated in brightly colored plastic or glass? If this is the case, you can rely upon something that’s generally used for floors and furniture: wood cleaners or polishers. These cleaners, when applied, essentially seals a surface and protects it from dust, liquid, and grime, allowing it to be cleaned easily with just a couple of moments’ wiping. Don’t let that word “wood” on the label fool you. It definitely works on plastic or glass; just make sure to clean your appliance first using a microfiber cloth or sponge that’s been dampened with warm water. Afterward, just spray on the wood cleaner and wipe away the excess using a soft, clean cloth. Not only will the wood cleaner protect your appliance from future stains and spills, but it’ll also leave a glossy and streak-free shine. Because stainless steel is more hard-wearing, you can also use something stronger – or more acidic, to be more accurate -- to clean it; that is, white vinegar. Simply apply white vinegar directly onto a microfiber cloth and start scrubbing away at the grime. You can also just spray the vinegar directly onto the trouble area, let it sit for a bit, and then wipe everything clean. Finish off the job by dabbing a clean towel into a little olive oil and then use it to polish the freshly scrubbed spot. Wipe away any extra oil residue with a dry, clean cloth, and what you should be left with is an appliance that’s not only clean of any grime or stains but is also sporting quite a fetching polish. Taking proper care of your appliances will not only save you a lot of money but also ensure your safety while using them. 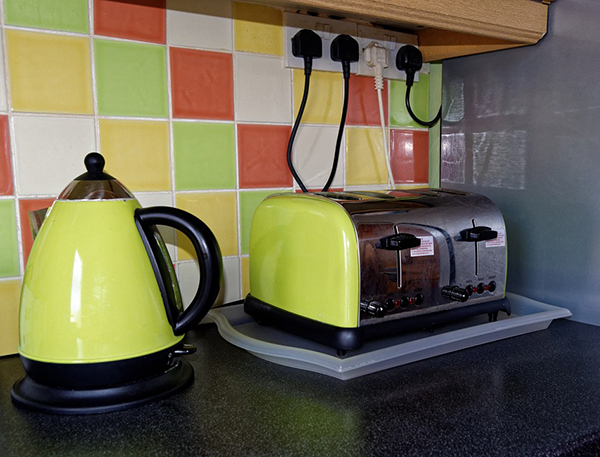 Just remember that not all appliances are made the same way, so your particular appliance may not react to certain substances as well as others. Be sure to test things out first in a few minor spots before going all out with any of the tips mentioned to avoid any inadvertent damage.